Radon is a cancer-causing radioactive gas that you cannot see, and has no odor or taste. According to the Surgeon General, it’s the second leading cause of lung cancer in the USA. 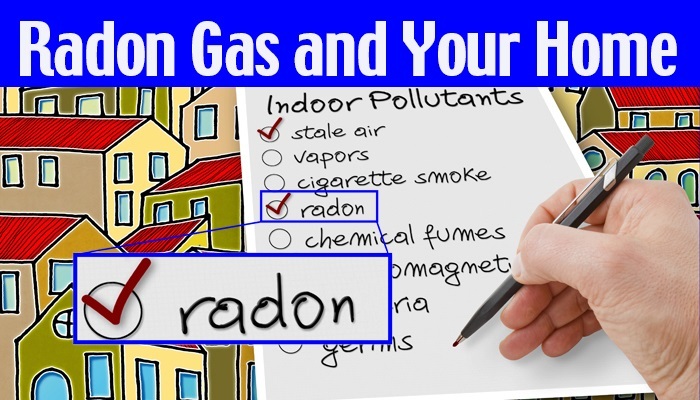 Radon gas is found in homes all over the country. The EPA recommends that everyone knows what the indoor radon level is in a home they are considering buying. Remember to ask the seller for their radon test results. If the home has a radon-reduction system, ask the seller for information they have about the system. And, if the house hasn’t been tested, you should definitely have a test ordered. If you are having a home built, there are some things that can be incorporated into the home during construction to reduce the radon levels. If you are considering buying a home, you may want to accept an earlier test result from the seller, or you can ask the seller for a new test to be conducted by a qualified radon tester. Who conducted the previous test: the homeowner, a qualified radon professional. Where in the home the test was taken? If you plan to live in a lower level of the home, and the test was taken on the first floor, if you want to make sure the radon test is taken in the basement. Has there been any structural changes, alterations, or changes in the heating, ventilation or air conditioning system since the test was done? Such changes could effect radon levels. If you decide to accept the seller's test, make sure the testing followed a specific Radon Checklist. If you decide that a new test is required, discuss it with your real estate broker as soon as possible, as she can refer you to a qualified company. If the home has not yet been tested for radon, make sure that a radon test is done as quickly as possible. Exactly what type of testing needs to be done. How you and the seller will share the test results and test costs. Always make sure that the test is done in the lowest level of the home that is suitable to live. This means the lowest level of the house that you plan to use as living space that is finished or doesn’t require renovations. If you decide to finish or renovate an unfinished area of the home in the future, a radon test should be taken before starting the project and after the project is finished. It’s typically less expensive to install a radon-reduction system before renovations rather than afterwards. This layer is placed under the slab or flooring system to allow the soil gas to move freely underneath the house. In many cases, the material used is a 4-inch layer of clean gravel. All openings in the concrete foundation floor are sealed to reduce soil gas entry into the home.